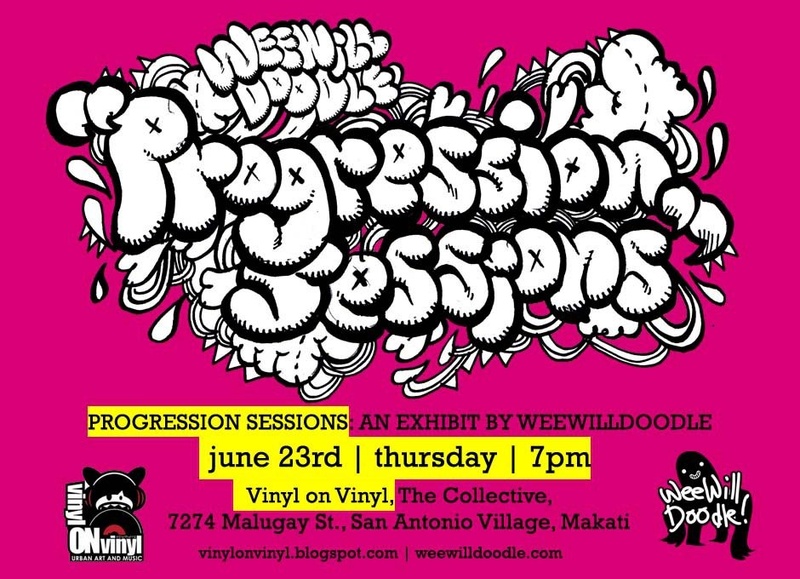 WeeWillDoodle is a group of artists deeply in love with the power of the doodle. This artist collective believes in, respects and harnesses the raw power of spontaneous ideas to capture it on different media: on paper, plastic, walls, your bare buttocks -- you name 'em and we’ll draw on it. Give us a blank room and we’ll charge in with multi-colored markers blazing! We draw now and ask questions later. Doodling is not just therapeutic, it also allows you to generate wild, spontaneous ideas. Since its inception in 2007, the members of WeeWillDoodle have been promoting the use of doodling as an effective way to tap into one's creativity. It is one of the most basic forms of art and doodlers are encourages to use it as a stepping stone to more complex styles. Individually and collectively the art style of WeeWillDoodle has evolved. The exhibit aims to show that continuous journey of evolution, shining the gallery lights not only to the artworks themselves but on the process of creating them.